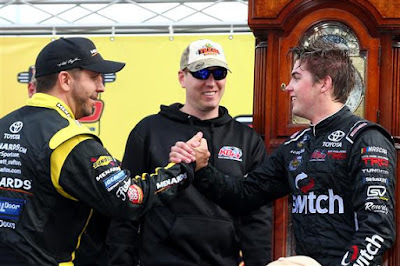 Noah Gragson, like many athletes, is a fan of big trophies. 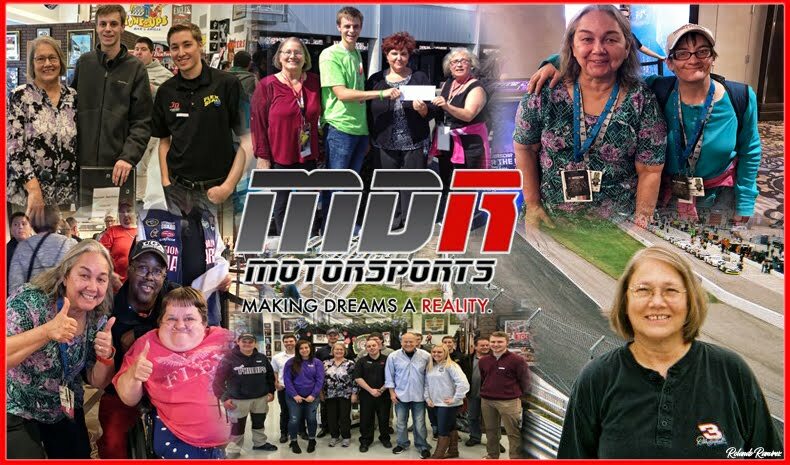 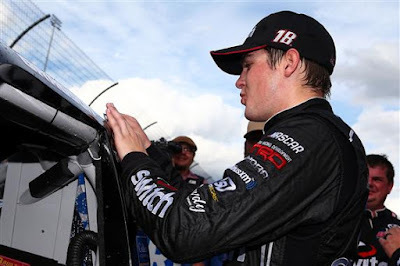 He probably didn’t think his first piece of NASCAR Camping World Truck Series hardware would be one of the most famous in all of sports, the Martinsville Speedway grandfather clock trophy. 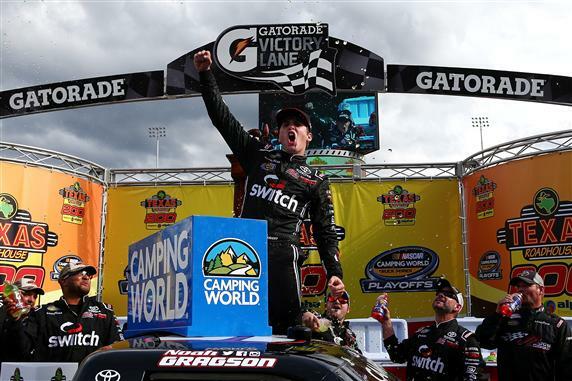 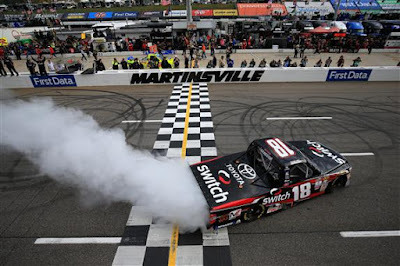 Gragson used an impressive restart with ten laps remaining to score an upset win, the first of his career, Texas Roadhouse 200 presented by Alpha Energy Solutions, holding off former Martinsville victors and series champions Matt Crafton and Johnny Sauter in the race’s closing laps. 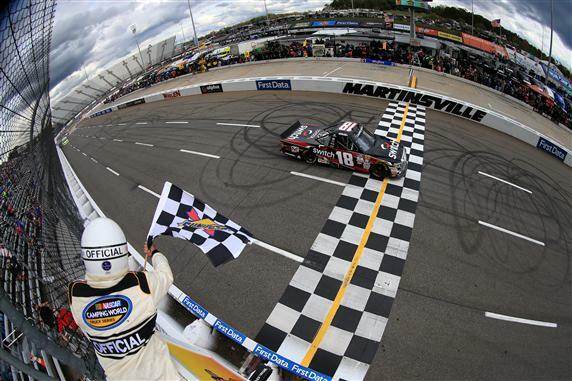 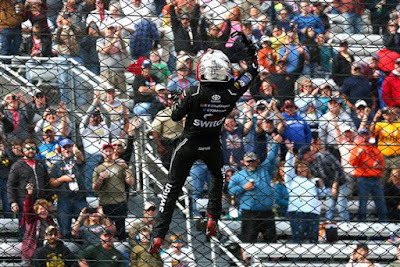 Crafton won Saturday’s opening stage, and chose the bottom lane on the race’s final restart, before Gragson strong-armed him around the outside and made it stick to create yet another memorable Martinsville Speedway race-winning moment. After the checkered flag, Crafton was left lamenting the runner-up finish, with a productive points day being no comfort. 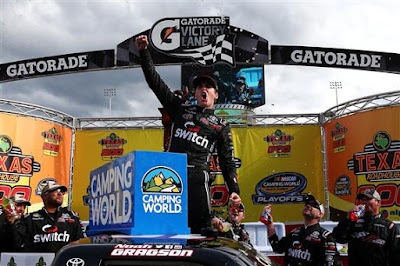 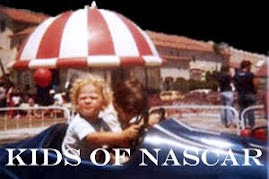 Sauter appeared poised as the favorite to earn his second straight playoff victory at NASCAR’s oldest track until a slow pit stop at the end of Stage 2 sent him tumbling seven positions down the running order, costing valuable track position in the process. 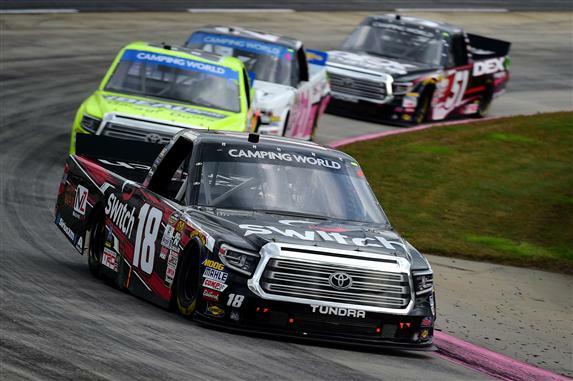 John Hunter Nemechek, who entered Saturday’s race 4th in points, suffered a brake failure and made heavy contact with the outside wall in turn two on Lap 39. The 20-year-old will now likely need to win at either Texas Motor Speedway or Phoenix Raceway in order to keep his championship hopes alive.